Overview: Cleopatra's Bonus is a 5-reel, 20-line video slot with a whole host of ways to earn bonuses of mythical proportions. 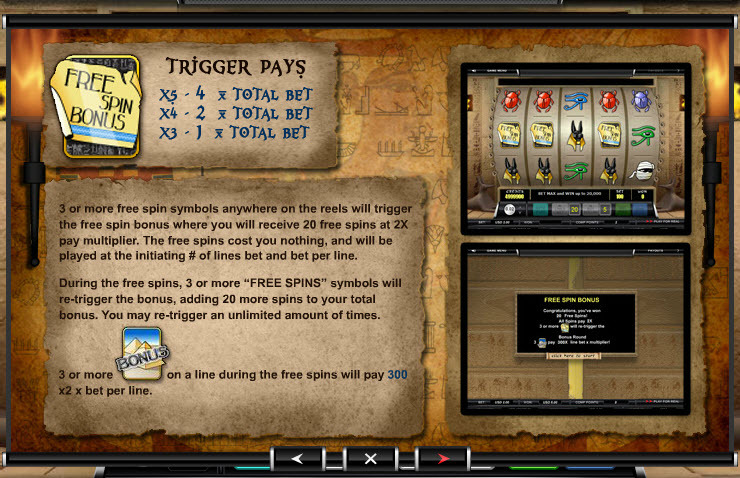 Find 3 or more "Free Spin Bonus" symbols anywhere on screen and enter the Free Spin Bonus, where 20 free spins await. Whatever credits are won during the resulting free spins are doubled automatically. 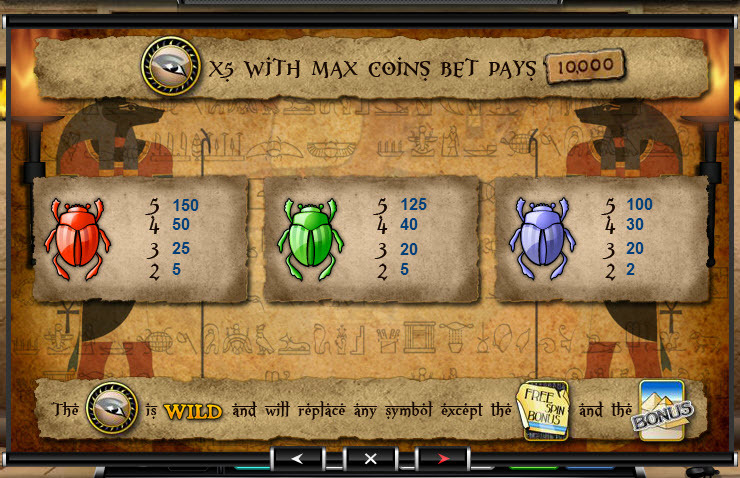 3 Free Spin symbols will win the initial bet, but 4 will multiply it 2x, while 5 will multiply it 4x. Get 3 or more Free Spin symbols during the bonus round and receive 20 more free spins on top of the remaining spins. 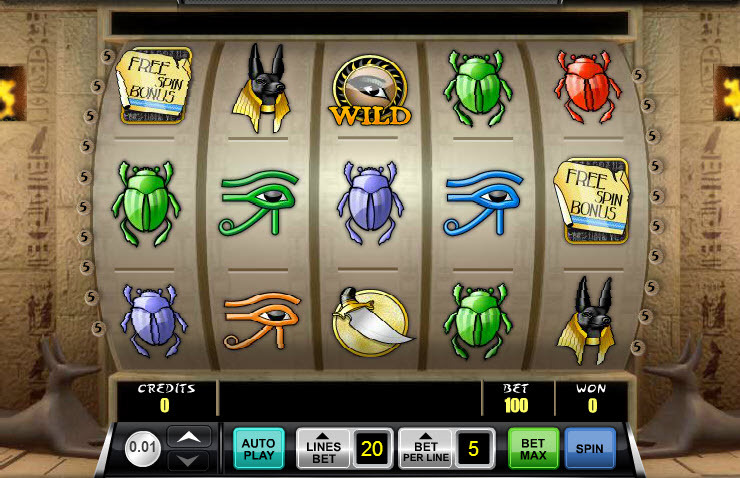 Furthermore, find 3 or more "Bonus" symbols on the first 3 reels and trigger Cleopatra's Bonus Game, which will take place inside Cleopatra's Pyramid. Inside the pyramid you'll have a chance to win the big bonuses hidden within the ancient artifacts and tablets found in the two rooms. 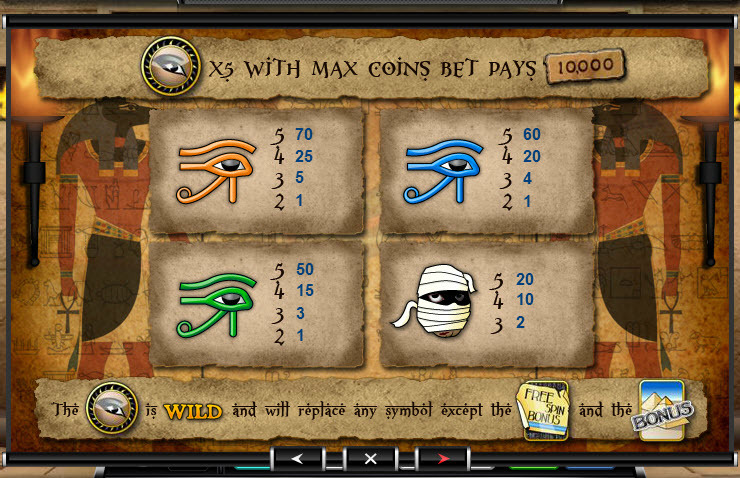 The Cleopatra eye symbol is wild, but get five in an active pay line to win 2,000 credits. 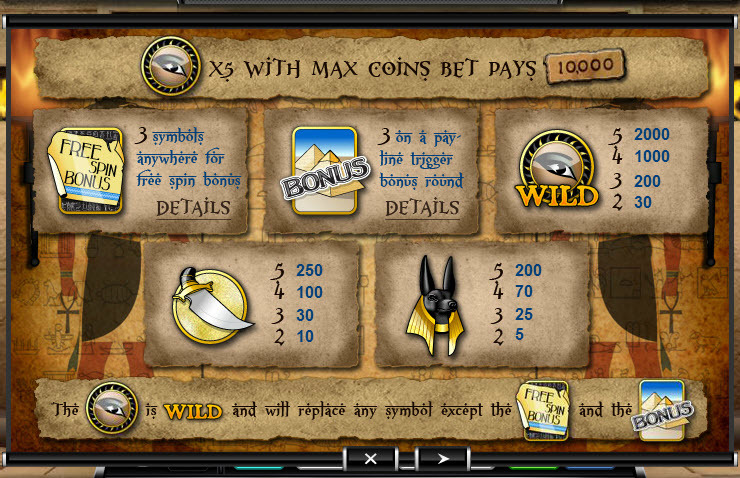 Bet the maximum five coins and win a whopping 10,000 credits. Similar Slots: If you like Cleopatra's Bonus, you might like these other slot machines from Ace Gaming: 5x Wild Diamonds Bonus, Banana Beach, Black Magic, Crazy Coconuts, King's Castle.